Ramla is a small town adjacent to the Biblical city of Lod (Lydda) where the book of Acts has recorded a paralytic by the name of Aeneas being healed (Acts 9:33). Only a few miles away from Israel’s main airport, this city has a mixed population of Jews and Arabs who co-exist with relative tolerance. The city is strategically placed in close proximity to other key cities such as Joppa / TelAviv. Dr. Kakish started the ministry in 1980 through conducting visitations and home Bible studies. At the time frequent traveling from the West Bank to the city of Ramla was getting progressively difficult and sometimes perilous because of the ongoing fighting! Today, we are thankful for a generation of fervent believers who are praying and sowing in their community for the Kingdom of God. One of the largest cities in the West Bank, has been our site of ministry since 1978. Ramallah is a relatively modern city with Jerusalem-style high-rise buildings. In the past, Ramallah constituted a tourism and entertainment center. The city of Ramallah has a population of about 25,000. However, the population swells during the work day as workers from nearby villages swarm into the city. The Ramallah District includes 88 villages, giving the Ramallah area a population of 220,000. Ramallah is the de-facto capital of the West Bank, Palestine. It is also the administrative and economic capitol of the West Bank, and Bir Zeit University is nearby. The town has been ravaged by violence and conflict. Ordinary people have suffered much through the political ups and downs in the West Bank. This led to many families having trouble meeting the financial requirements for the bare necessities of existence. Ramallah was founded around 1500 A.D. and means “Hill of God”. The area is closely related to some Bible stories. Bethel, where Jacob dreamt of the ladder and fought with the angel is only 4 miles away. Also very close are the ruins of Ai, where the Israelites were defeated in battle following the sin of Achan. 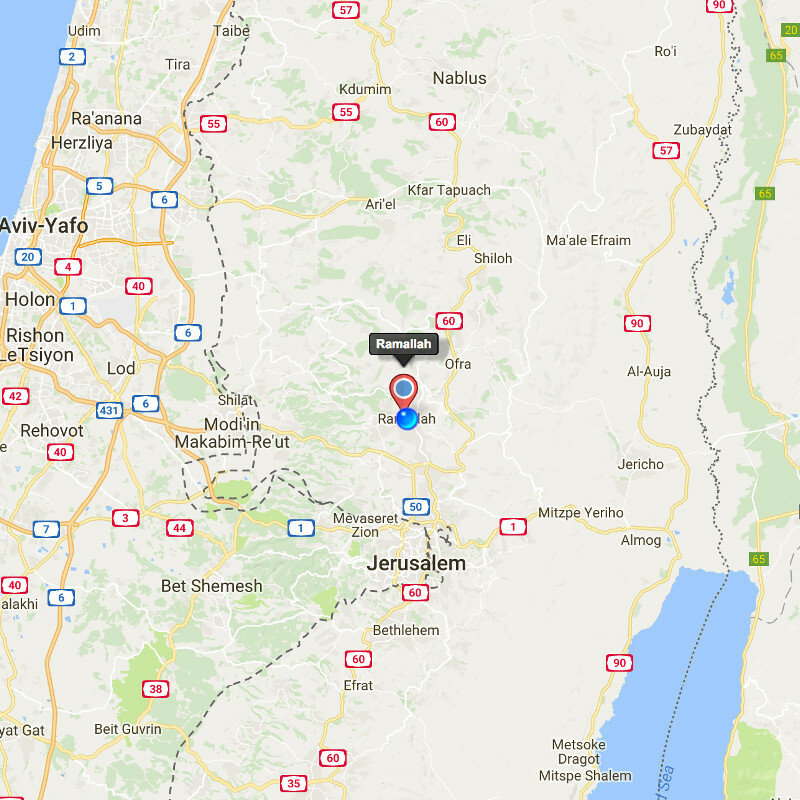 Adjacent to Ramallah is the town of Bireh, believed to be the spot where Mary and Joseph realized that Jesus was not with them after their visit to Jerusalem.